Print your own Pedion Urban terrain Tiles! This zipped file includes digital copies (.jpg images) of the Pedion photos from one of the urban sets so that you can print and create your own tiles. 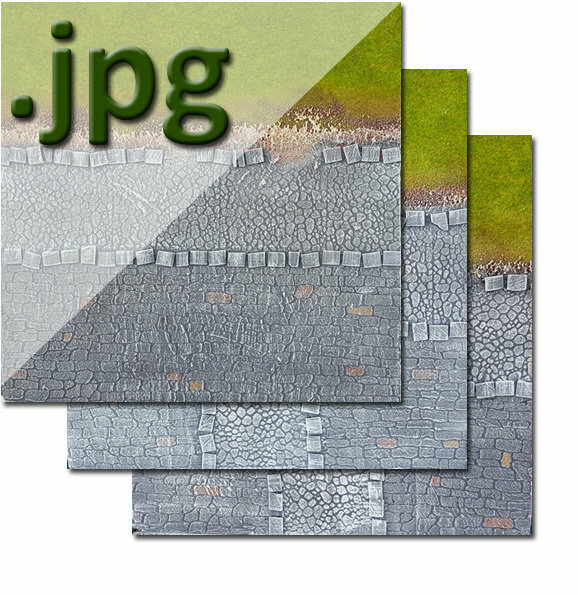 The file includes images of the 3 basic Transition Tile Designs in the Rustic Theme, letting you "join" tiles of the "Green Spring" outdoors theme with the "Medieval" Urban theme. Each file is a full colour .jpg image, which can be printed in any colour printer at 150 dpi to a size of 25x25cm.